All bowls and platters in this category are “Functional” pieces intended for daily use with food products. Each will be finished with a food safe finish, for details please see each products description. 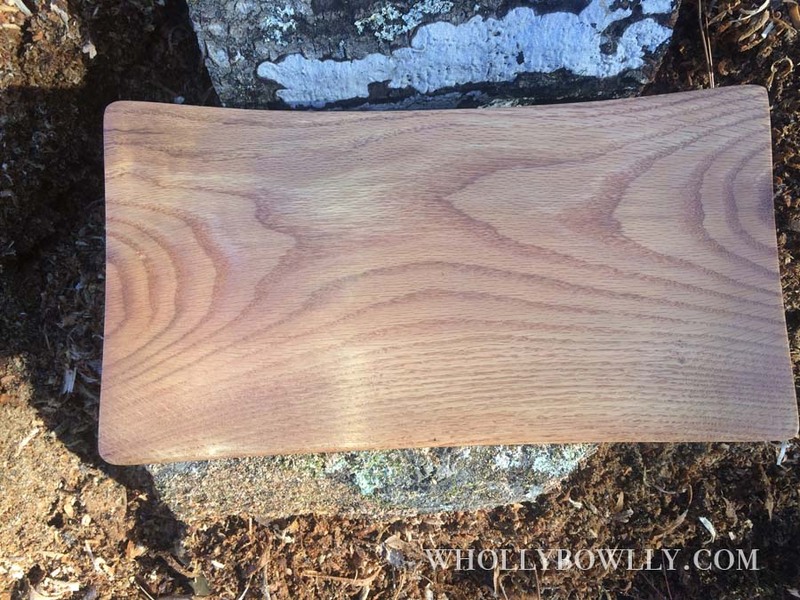 This Red Oak Rectangular Platter measures 7 ½" wide, 14" long, 1 1/2" from table top to rim (sitting on foot, not depth of bowl center). This platter was coated with Salad Bowl Finish, a non-toxic hard finish. It weighs in at 1.25 lbs. 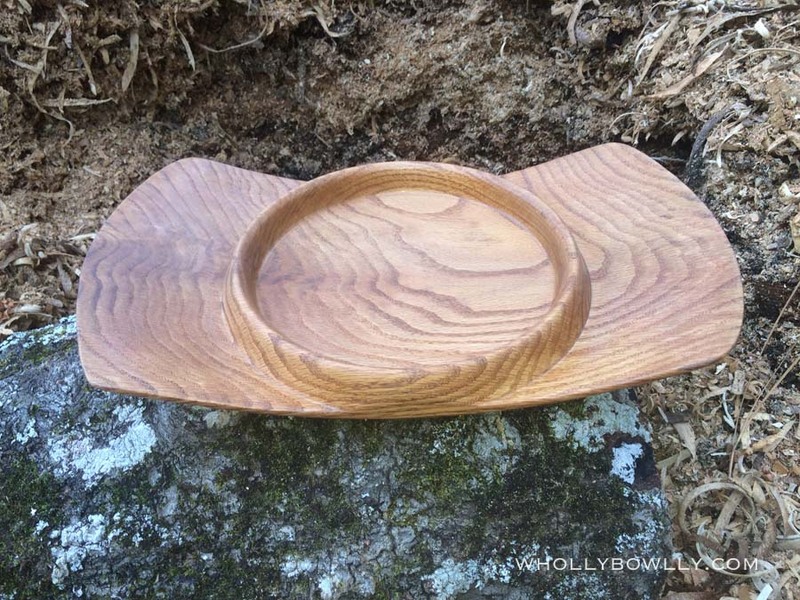 This Red Oak Rectangular Platter Bowl measures 7 ½" wide, 13 ¼" long, 2" from table top to rim (sitting on foot, not depth of bowl center). The center bowl is 6 ½" in diameter and ¾" deep. The bowl was coated with Salad Bowl Finish, a non-toxic hard finish. It weighs in at 1.25 lbs.